PowerBones®, Beef & Wheat, 5oz. 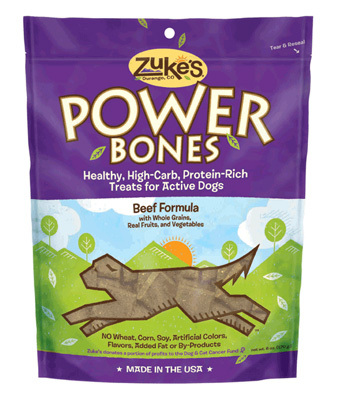 Pouches - Power up with PowerBones, The #1 selling performance treat in the world. Dogs of every size, shape and physical condition have run faster and lasted longer during activities because of PowerBones. The optimal balance of performance nutrients including carbohydrates and quality fats makes the difference.